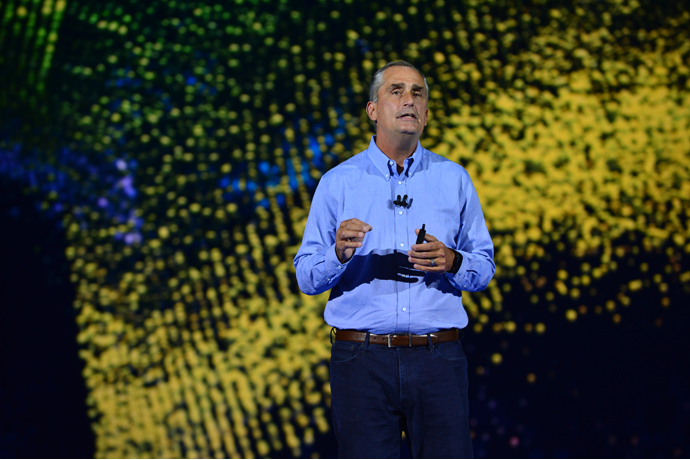 » Download video: “2018 CES: Intel’s Preshow Keynote (Highlights)”Krzanich also disclosed details for the company’s new automated driving platform, which combines automotive-grade Intel Atom® processors with Mobileye EyeQ5® chips to deliver a platform with industry-leading scalability and versatility for L3 (Level 3) to L5 (Level 5) autonomous driving. Beyond autonomous cars, Krzanich also demonstrated the Volocopter*, a fully electric, vertical takeoff and landing aircraft designed for passenger transport. The Intel® Flight Control Technology used in the Volocopter is based on the intelligence found in the Intel Falcon™ 8+ drone used for inspection, surveying and mapping, showing the powerful intersection of data and autonomous technology. 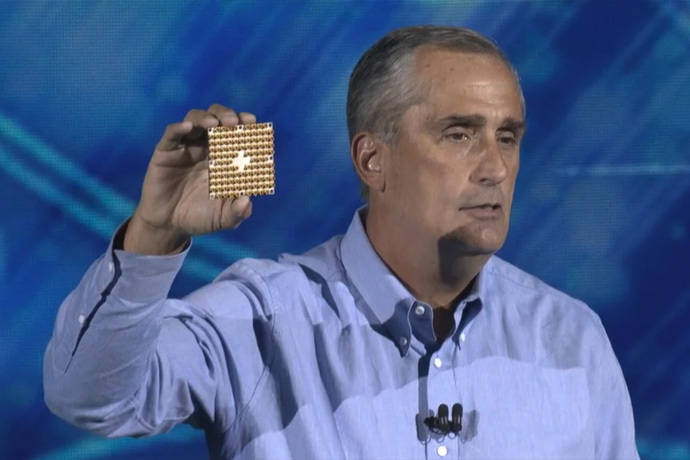 » Download all images (ZIP, 86 MB)Looking ahead to the future of computing, Krzanich noted Intel’s promising research into neuromorphic computing, a new type of computing architecture that mimics the way brains observe, learn and understand. Intel’s neuromorphic research prototype chip (“Loihi”) is now fully functioning and will be shared with research partners this year. For more details and to stay updated on additional news, visit the Intel CES booth (#10048) or see the Intel CES 2018 Press Kit. Intel, the Intel logo, Intel Falcon, True View, Shooting Star, neon, Xeon and Intel Atom are trademarks of Intel Corporation or its subsidiaries in the U.S. and/or other countries. This entry was posted on Tuesday, January 9th, 2018 at 4:03 pm and is filed under Advertiser, News.